Your humble spirit was felt from the start, wherever you blessed your presence you always left a mark, we were like brothers & our birthdays are only 1 day apart, now You will forever hold a place in all of our hearts@paulwalker legacy will live on forever. R.I.P. So sad to hear about Paul Walker. So young. Can't believe it. Paul Walker was such a nice guy so sad he died but at least he died doing what he loved and he went out on top sorry to see him go! RIP Paul Walker. Never met him but my Hostel team had just made Running Scared and everyone loved him. Condolences to his family. Damn! This has been a tough year! Paul Walker. Praying for his family. RIP Paul Walker. My thoughts are with you and your family. Sick about the tragic loss of #PaulWalker. I enjoyed our time together very much. Such a really nice guy. Prayers to his family and friends. 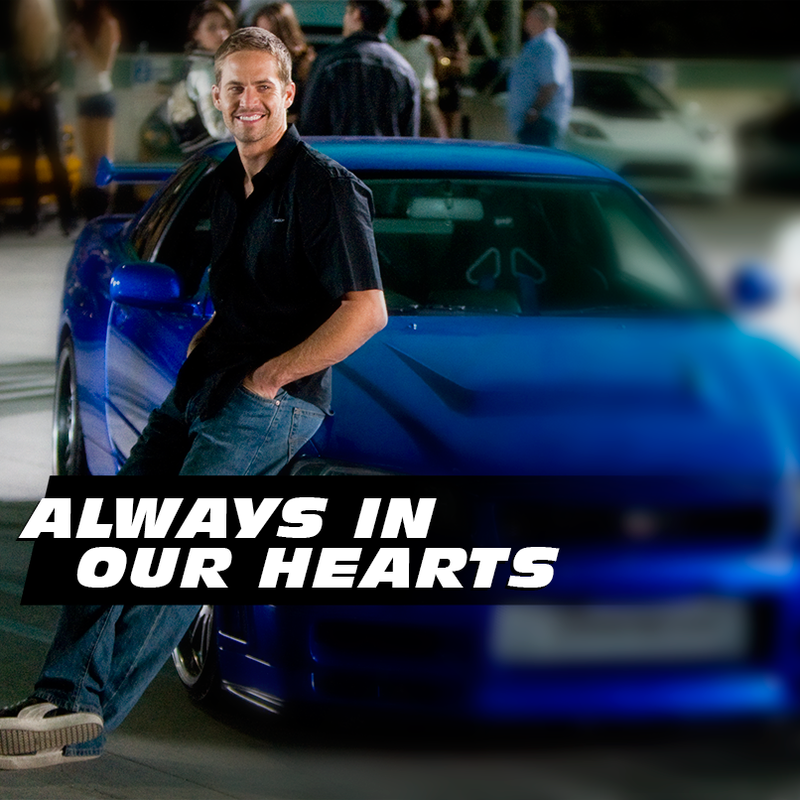 @RealPaulWalker May he be in peace. To his family you are in our thoughts and prayers. I was so shocked to hear about @RealPaulWalker's death. I have been a fan since his #Varsityblues days. Sending love to his daughter. Heavy heavy heart tonight. Paul Walker was a genuinely good, sweet, kind, laid back, loving person. Sending much love to his family. Really hard to find words to say when someone passes too soon. Very heartbreaking about Paul Walker. Sending prayers to his loved ones. RIP. Shocked & sad to hear about Paul Walker. Met him several times over the years- a hard worker & always kind. Prayers & love to his family. Thoughts and prayers tonight are with Paul Walker's friends and family, especially his little girl. So sad. Very heavy heart tonight.